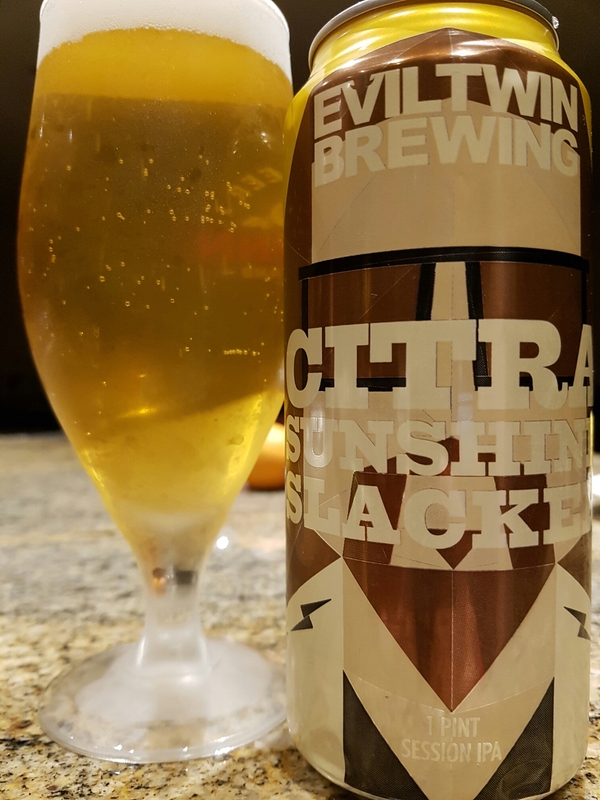 Citra Sunshine Slacker – Evil Twin Brewing & 7venth Sun Brewery Collaboration (Stratford, CT, USA) | Justintoxicated. Visual: Pours light pale straw yellow with a nice 1cm bubbly head, 1mm layer of retention, clusters of active streams. Summary: Absolutely delicious showcase of the hop oils – very lively, refreshing and bright, all backed up with a nice micro bubbly-fizzy mouthfeel. 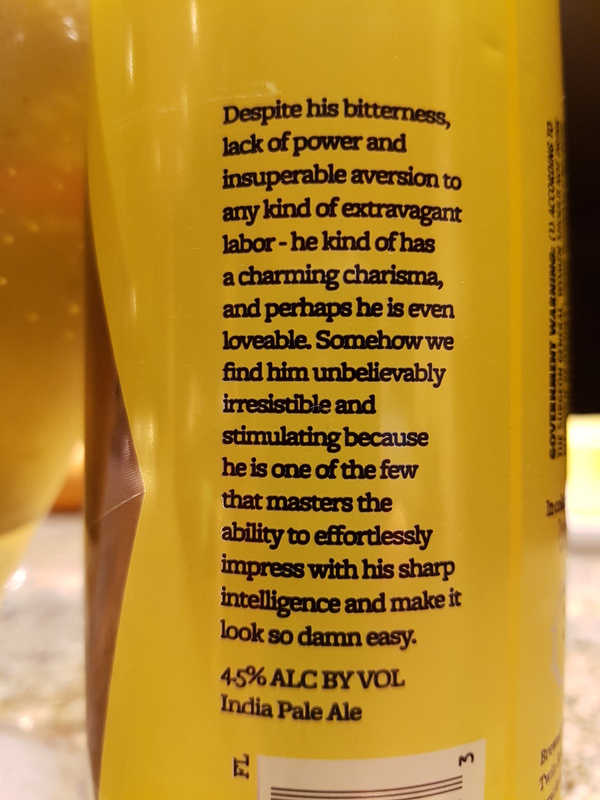 Every sip is a delight. This blows the only other ISA I’ve had out of the water, Central City’s Red Racer ISA [C+].